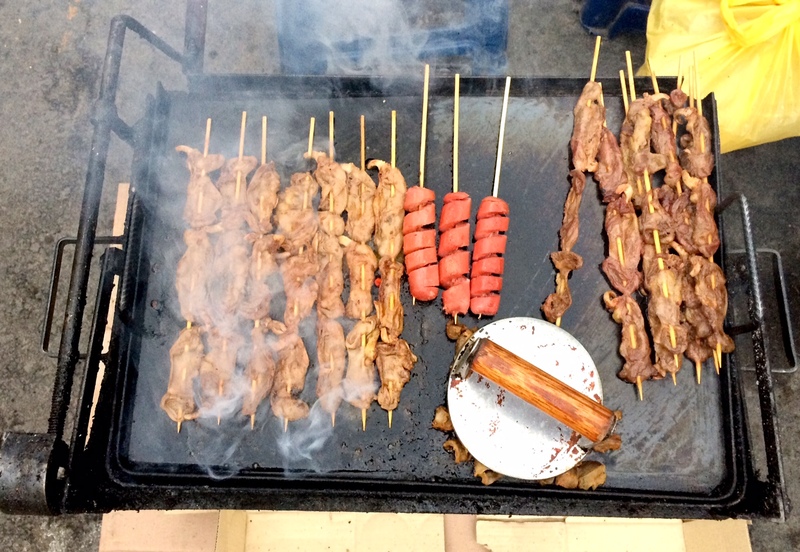 Lima is a famed culinary hot spot. Boasting three restaurants on the World’s 50 Best Restaurants list (on par with New York and Tokyo) and many several celebrity chefs, it’s known as the gastronomic heartland of South America. And it’s true. Almost everything I ate was considered and delicious. But I experienced two very different approaches to Limeño food. The Lima that most travellers see revolves around the hip central areas of Miraflores and Barranco and has been finessed to perfection. These areas are clean, sophisticated and importantly safe. Of course that’s where travellers go. That’s exactly where I stayed over several weekends. But Lima is a city of 9.7 million (30% of Peru’s population) and not everyone can afford these desirable suburbs. The city has sprawled extensively to cope with the population influx and the outskirts of Lima are an entirely different proposition to the centre. I came to appreciate this when I spent weeks volunteering at an NGO school for disadvantaged children in Saint Martin de Porres. It’s a mere 20km from central Lima but the difference in living conditions could not be more stark. However it was the difference in eating which really fascinated me. 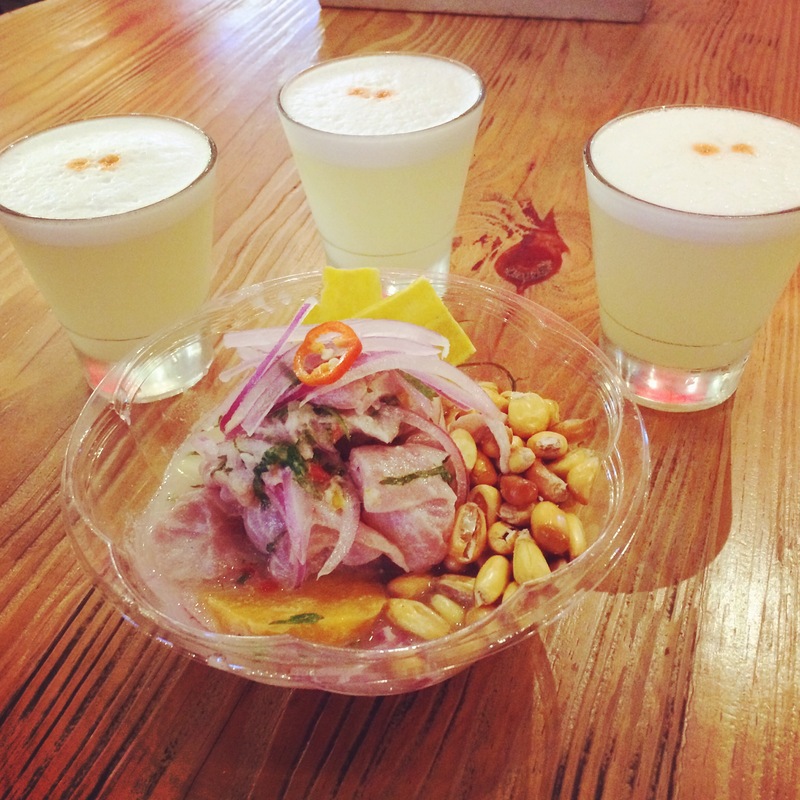 Think of Peru and you think ceviche and pisco sours, si? During my time in Saint Martin de Porres I didn’t come close to either. 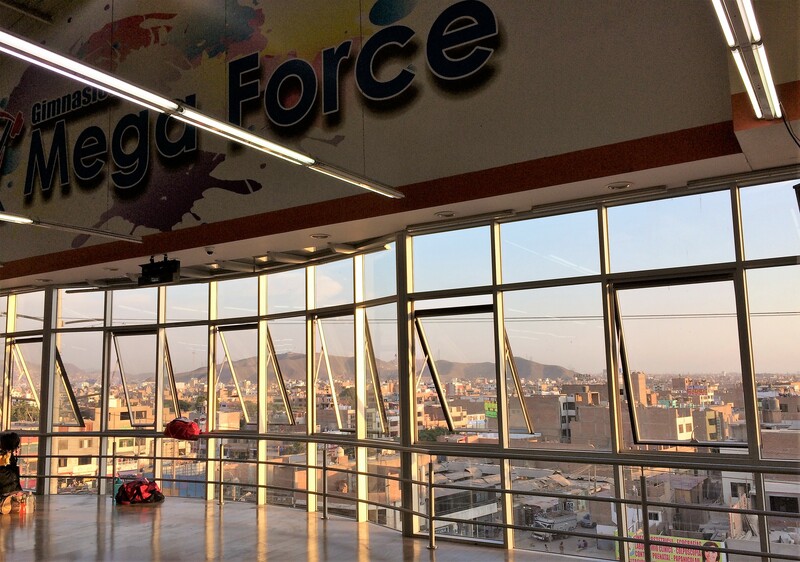 Yet in central Lima you can’t take two steps without tripping over a stylish venue that offers both. 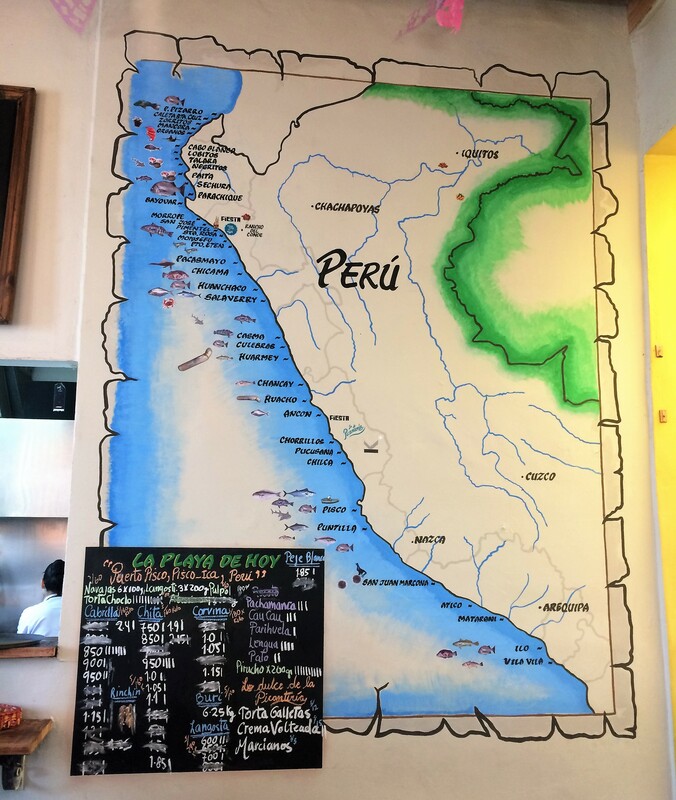 Peru has an enviably long coastline and despite laying claim to just 0.1% of the world’s sea it produces 10% of the world’s seafood. But I found that people in Saint Martin de Porres rarely ate seafood. Partly because of the cost and partly because they are so enamoured with chicken that they have no time for seafood. 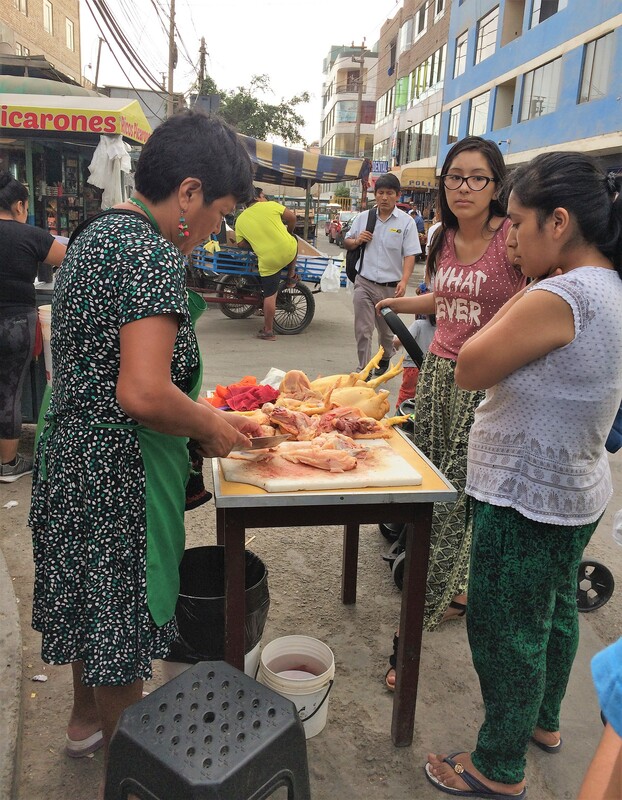 Chicken and carbs are what sustain most Peruvians day in and day out. Rice, potatoes, bread. Heaven help you if you’re celiac. And if you’re a vegetarian it’s huevos for you. One vegetarian volunteer found herself eating rice and eggs three times a day while at the school. I marvelled at how many carbs could be amalgamated into one meal. Quinoa and potato stew with rice was the epitome of this approach. For lunch and dinner. With bread for breakfast. Salad and vegetables did not feature heavily. Or at all. Peruvians are also extremely religious. They pray before every meal. They don’t really drink. And off topic slightly, because they live at home until marriage there are literally thousands of ‘hostals’ offering rooms by the hour for romantic dalliances that could never happen at home. Being based in a classroom of 3 year olds for some weeks I also found it fascinating to observe what the children ate for luncheros. I can report zero sightings of anything green or that resembled a vegetable but fruit was popular. Often whole granadillos (large passionfruit) were thrown into lunchboxes. I struggle to eat one with full dexterity and cutlery in tow so watching the kids tackle one was a messy endeavour. Eggs and carbs featured heavily. I was saddened to see how much junk food was packed into those lunchboxes. 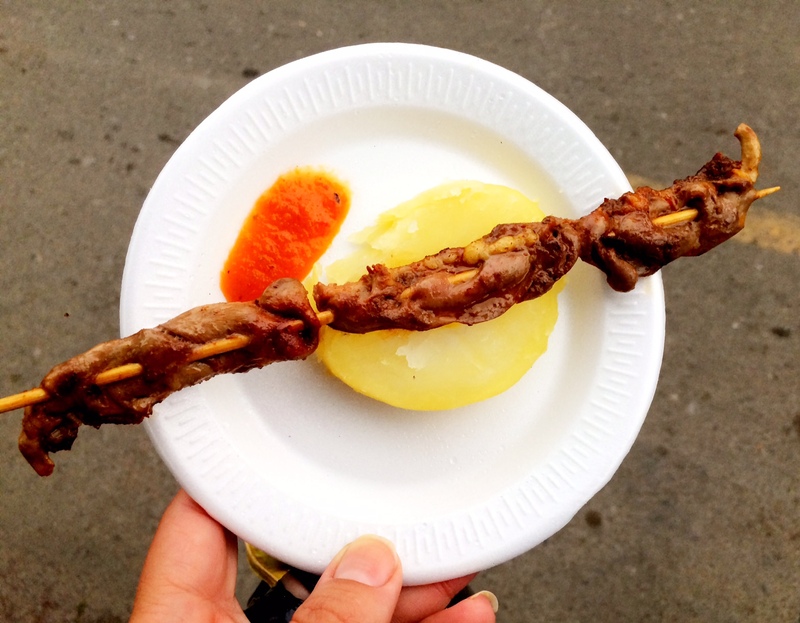 1 sole (40 cents) for a stick of anticucho with potato – bargain! 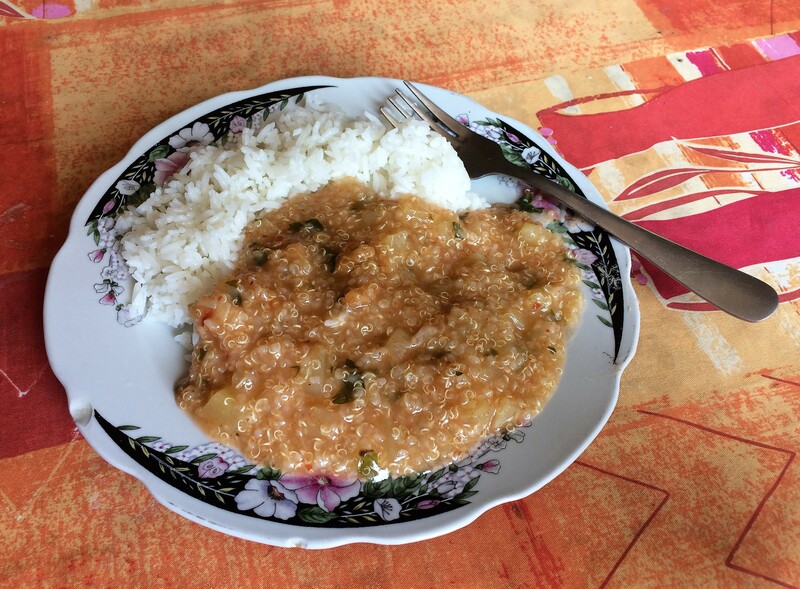 While I genuinely enjoyed the carb-loaded comida criolla, or traditional food I ate at the school, it was the street food in Saint Martin de Porres which really excited me. Stalls litter the dusty main road selling anticuchos (barbequed beef hearts) served with slivers of intestines and boiled potatoes (insanely delicious), tamales, butifarra sandwiches with pork and classic desserts like arroz con leche (rice pudding) and mazamorra morada (purple corn pudding). People of all ages perch on plastic stools enjoying food straight from the grill. 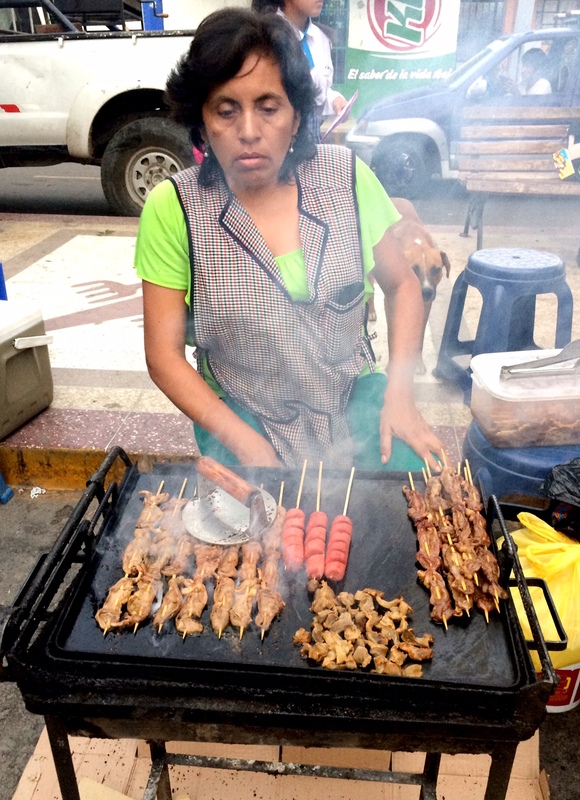 There is no longer any street food in central Lima. The chaos and clutter of the stalls was pushed out years ago to clean up the area for tourists. You can find anticuchos and arroz con leche on various restaurant menus but it’s a more refined (and expensive) version. 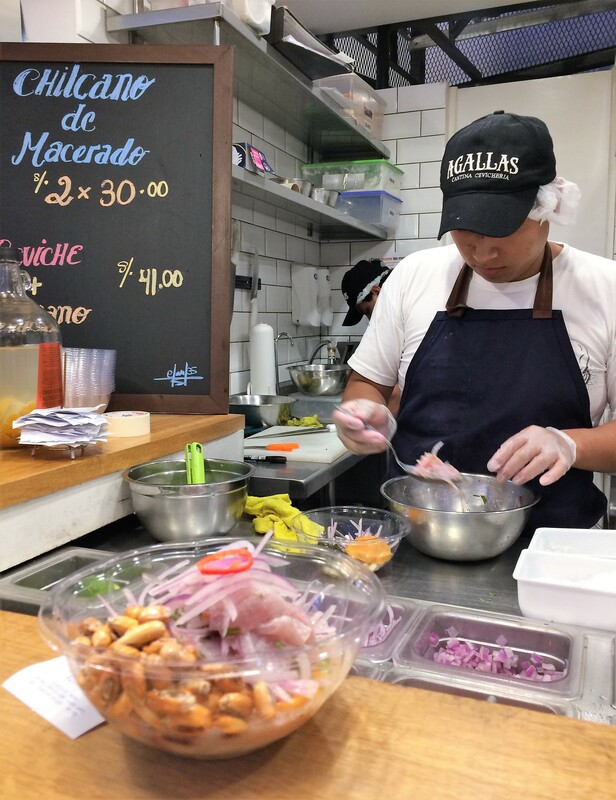 Despite the absence of street food, central Lima really is a foodie paradise. The breadth of seafood on offer is extraordinary. 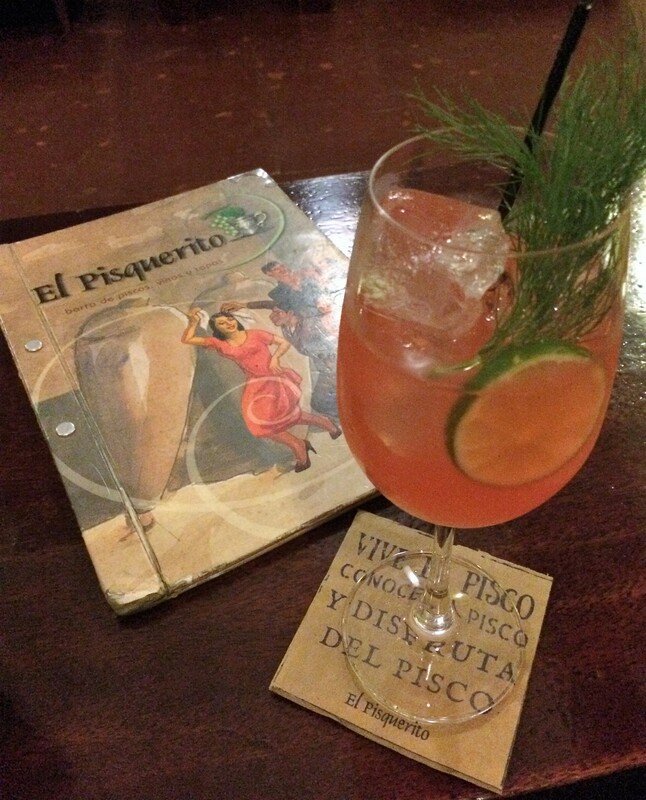 The range of pisco cocktails is mind blowing. Lunch is a serious affair and many restaurants are still going strong after 4pm early in the week. 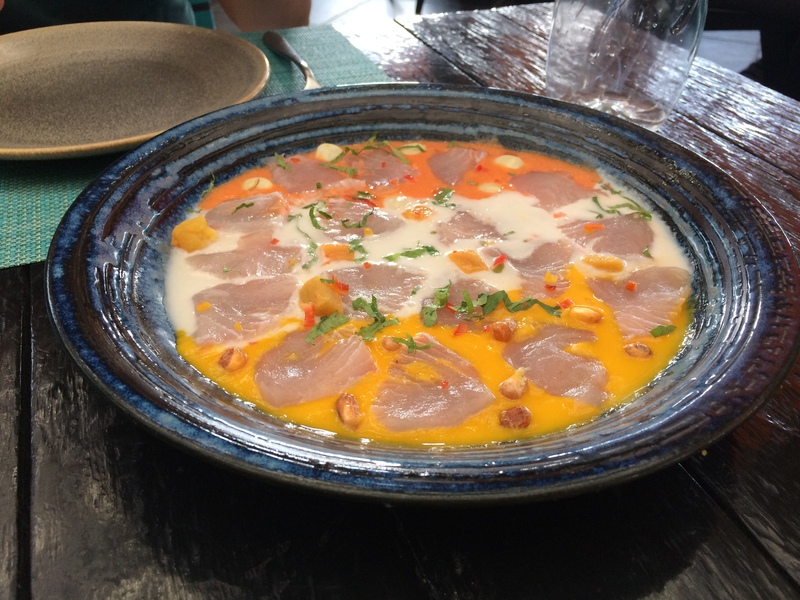 One of Lima’s culinary calling cards is Nikkei food – a melange of Peruvian ingredients like seafood, chilies and exotic fruits coupled with Japanese techniques used for sashimi, sushi and broths. Tiradito is one such love child – sashimi-style fish served with a creamy spicy sauce using local aji chilli. Nikkei has long been championed by internationally renowned chefs like Nobu Matsuhisa, and there are many restaurants that specialise in the style scattered in places like London and New York. Nikkei food is seriously good but reserved only for those with deep pockets in Lima. 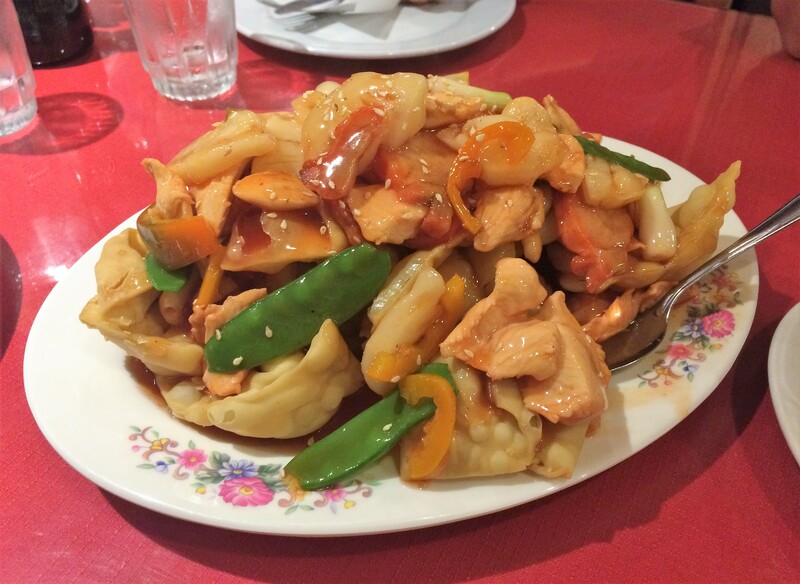 The other fusion born from Peru’s multicultural make up is the Chifa which offers a Peruvian spin on Chinese food. Happily this style seems impervious to economics with Chifas on every street in every suburb of every corner of Lima. If there is a culinary leveller in Lima then the Chifa is it, along with its iconic dishes like chaufa (fried rice) and kam lu wantan. 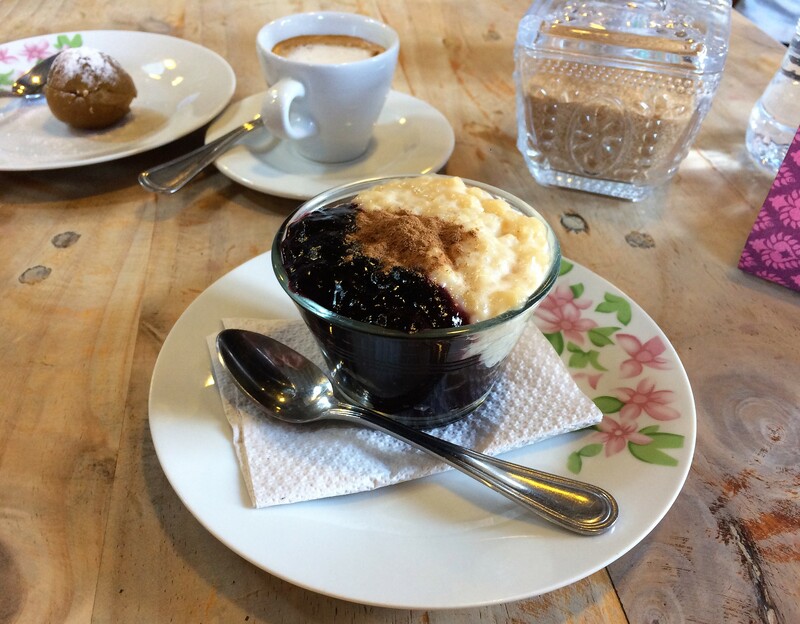 Just as iconic in Peru is chicha morada, the drink made from boiled and sweetened purple corn. In Saint Martin de Porres I found it on the street for 20 cents, served in a plastic bag. 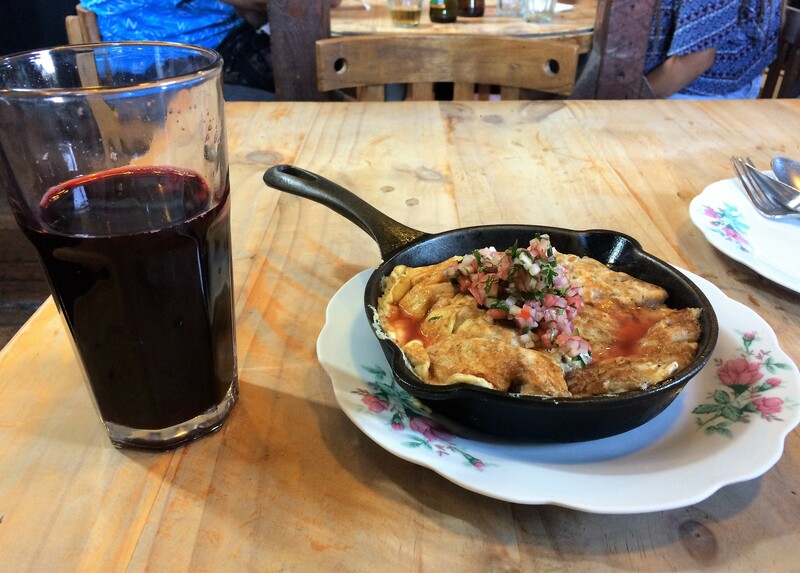 In central Lima it was served in a glass for 8 soles (40 times as much). Every Limeño I asked said their mum made it weekly for them or they made it weekly for their family. It’s adored by all regardless of economic status. 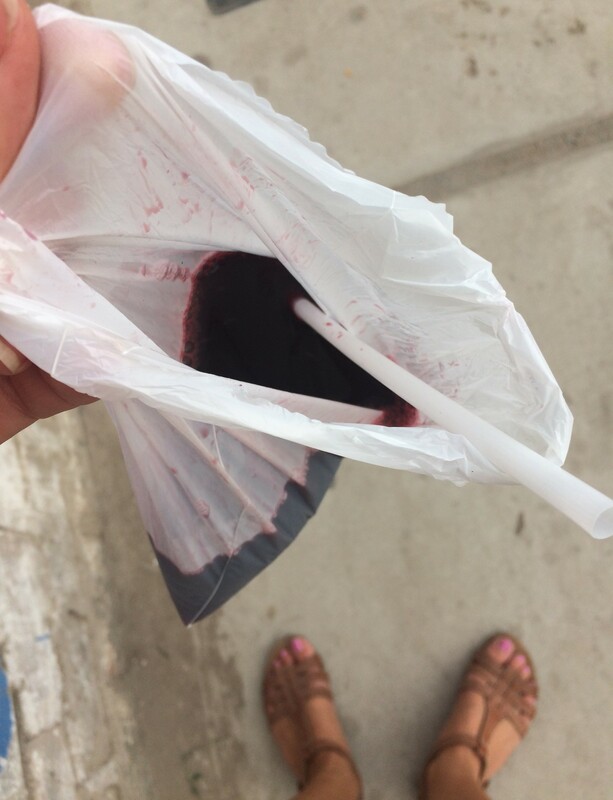 The children were more likely to have chicha morada in their lunchbags than water. So is there a right or wrong when it comes to eating in Lima? Not from the tables or carts where I was sitting. Should you travel an hour out of town to experience the way real Limeños eat? If you can spare the time then absolutely yes. Anticuchos and mazamorra morada won’t be winning Michelin stars anytime soon but boy do they taste good.